Here’s my China map for “Railroads!”. Unzip Shanghai.zip into your My DocumentsMy GamesSid Meier’s Railroads! This map is all about connecting the right cities, at the right time. 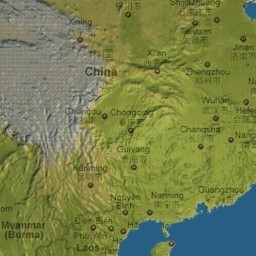 Follow the links to Wikipedia articleson China from this page. Connect Beijing to Zhangjiakou (1905-1909). This was the first railway built by Chinese workers. Establish the Jinghan route, by Connecting Wuhan and Zhengzhou (1905). Begin the Longhai route, by connecting Kaifeng to Luoyang via Zhengzhou (1910). Connect Tianjin and Shenyang on the Jingha route (1912). Connect Jinan and Xuzhou on the Jinghu route (ultimately this route will link Beijing to Nanjing and Shanghai). Attain a net worth of 15 million yuan. Connect Beijing to Baotou to complete the Jingbao route (1923). Extend the Longhai route, from Zhengzhou east to Lianyungang (1934) and west to Xi’an (1935). Establish the Wuguang route, connect Changsha and Guangzhou (1936). Connect Nanjing to Shanghai (Jinghu route, 1927-1949). Connect to Lanzhou and Urumqi (1962. Ultimately in 1990 this route will connect onward to Dostyk in Khazakstan). Connect Beijing to Nanchang and Kowloon to complete the Jingjiu route (1996). Connect Xining to Golmud (1984) and Lhasa (2006) to form the Qingzang route. Be the last railroad standing. Here’s my Eastern Europe map for “Railroads!”. Centered on Ukraine, it stretches from Poland to Iraq, and from Russia to the Balkans. Unzip Ukraine.zip into your My DocumentsMy GamesSid Meier’s Railroads! Includes Russia, Ukraine, Poland, Austria, Turkey, Greece and several other Eastern European countries. 1850-1889: “The first era”In 1883 the first Express d’Orient left Paris for Vienna. Vienna remained the terminus until 1883. You must build your fledgling railway by establishing an extension to the Orient Express route, to take passengers from Austria to Varna in Bulgaria. From here they will cross by ferry to Istanbul. Later you will expand your network to include Istanbul, and Moscow. Build terminals in both Vienna and Varna. Deliver the first Orient Express passengers from Vienna to Varna. Try to gain at least a 20 percent share in another rail company. 1890-1939: “The second era” You must develop your expanding railway empire by connecting the major cities of Moscow and Istanbul. Upgrade your depots in Moscow and Istanbul to terminals. Deliver 20 loads of milk to the cheese factory in Moscow. Deliver 20 loads of wool to the carpet makers in Istanbul. Attain a net worth of 10 million Rubles. 1940-1980: “The third era”You must build income from your railway empire by expanding freight operations. Deliver 50 loads of oil to the marine transport terminal in Ceyhan. Deliver 50 loads of cars (and tractors) from Moscow to any city that requires them. Attain a net worth of 20 million Rubles. Achieve a 70% stake in another company. Here’s my Iceland map for “Railroads!”. Obviously Iceland isn’t known for its extensive rail network, (Iceland has no rail network) but I think it makes quite a playable game map. Unzip Iceland.zip into your My DocumentsMy GamesSid Meier’s Railroads! Follow the links to Wikipedia articles on Icelandfrom this page, for some interesting background reading on Iceland, its economy and its culture. 1850-1890: “The volcanic isle” It is 1850. You must feed the coastal villages of Iceland with fish and bring in the milkfrom the dairies. Supply 20 carloads of milk to any village. Deliver 20 carloads of fish to any town with a cannery. Try to maintain at least a 20 percent share in your own company. 1891-1930: “Mail by Rail” It is 1891. Encourage the growth of villages into towns by running an efficient mail delivery service. Then focus your efforts on building passengertraffic. Move at least 20 cars of mail between villages, to attract trade to your stations. Move at least 30 cars of passengers. Build or purchase a textile mill in any town to support the Icelandic knitwear industry. Attain a net worth of ISK10 million. Expand your empire by buying a 50% stake in another company. 1931-1980: “The modern era” It is 1931. Deliver the distinctive knitwear produced by your textile mills. Connect Akureyri to Reykjavik and meet the demand for medical suppliesat either hospital. Connect Reykjavik to Akureyri, the principal town in the North. Deliver 20 carloads of Icelandic knitwear to any town demanding clothing. Deliver 20 carloads of medicine to Akureyrior Reykjavik. This scenario covers the hilly northern region of England, extending North from the cities of Liverpool, Manchester and Sheffield, to include part of the Lake District in the North West, and the sparsely populated Yorkshire Dales. The seaside towns of Southport and Blackpool, and the Morecambe Bay area lie on the West coast. 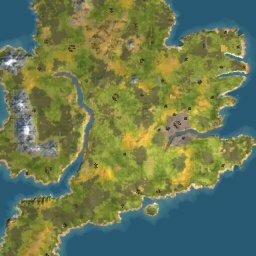 This scenario covers Great Britain on a larger scale than the built-in UK Scenario, and is designed for Multiplayer use. 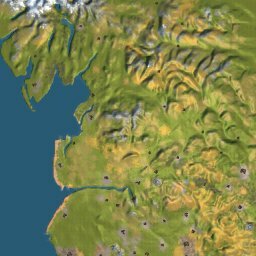 Cities have been added and industries changed.